Basil's Blog: Questions for Doctor Who LaB? A quick note about Doctor Who LaB podcast. Larynn and I have received feedback indicating some might have questions about Doctor Who. We certainly don't claim to be experts. (Well, maybe we do, but we'll never admit that.) But, we'd love to hear any feedback, and if we can answer any questions, we will. Or make something up if we don't know the answer. Kinda like everything else, to be truthful about it. 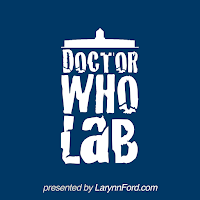 If you have questions or other feedback for Doctor Who LaB, you can leave that here. Although the show airs on BBC America on Saturday nights, we don't actually do our watching of the show and recording of the podcast until Sunday afternoon. That means that if you have any thoughts on the episode we're going to be discussing, we'll be able to include that, too. You know what? If you want to send us an audio comment, we'll play along. Record it and email it (.mp3 preferred) to Doctor Who Lab, and we'll include it. Probably.